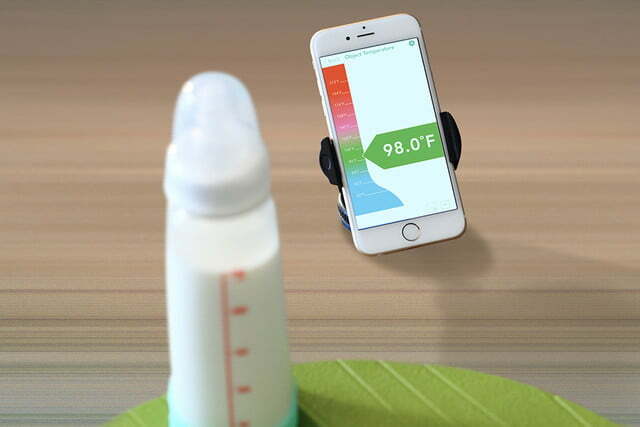 Contact-free or infrared thermometers not only let you keep germs at bay, but also open up a host of connected options. For parents, this means peace of mind is attainable. 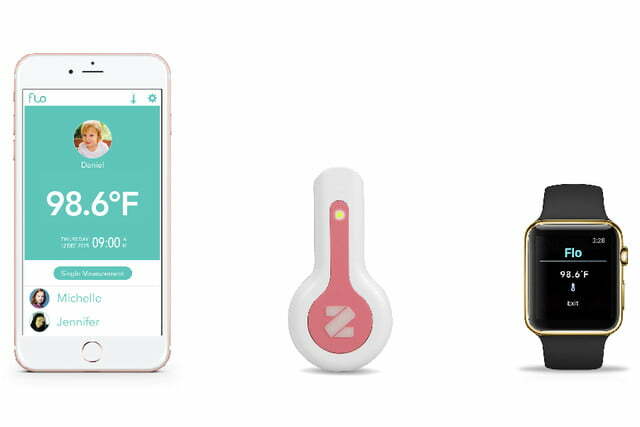 The Flo from Zeraph is a smart thermometer that lets anyone keep track of temperatures over time through its iOS app for phones and Apple Watch. It launched February 3 on Kickstarter. A key phrase that comes to mind when using thermometers is “don’t wake the kids.” With contact-free thermometers, this is its own reward. 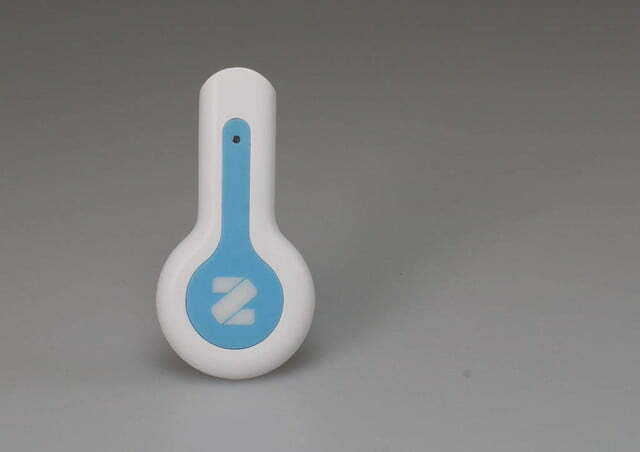 A thermometer you don’t need to insert into an orifice or under an arm stays clean. The Flo keeps things even cleaner by letting you use it without having to touch your phone (you’d be horrified to learn how dirty your phone might be). 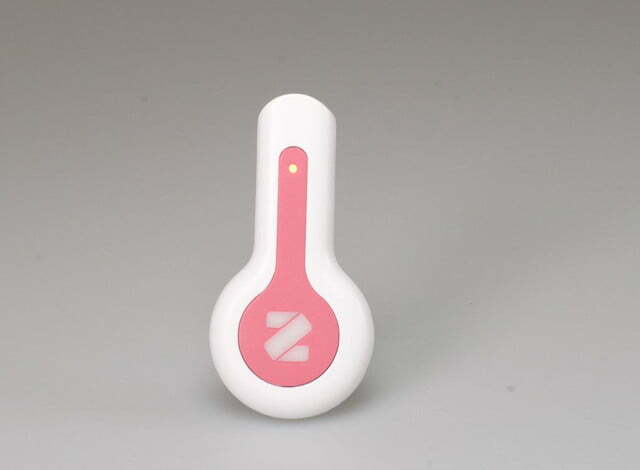 The color LED on Flo’s tip indicates current temperature. Green is normal, red signifies a fever, and white indicates chills (Flo stores up to 10 readings). When you do grab your phone, you can see the exact temps or have them read aloud in audio mode. In either case, readings are logged for future reference. 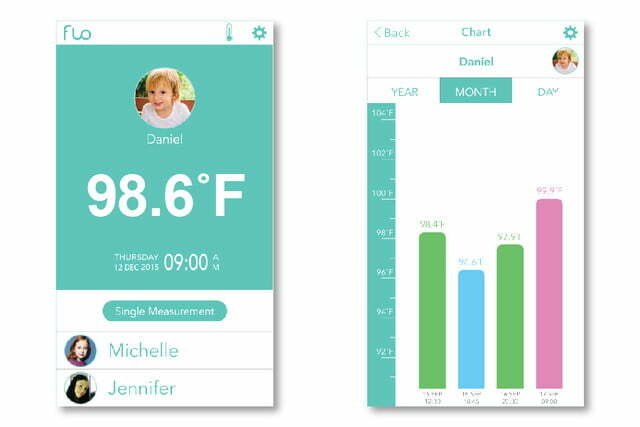 That’s just an example of app functionality that separates Flo from other infrared thermometers. It creates a timeline of temperature readings so you have some context to interpret the raw data. 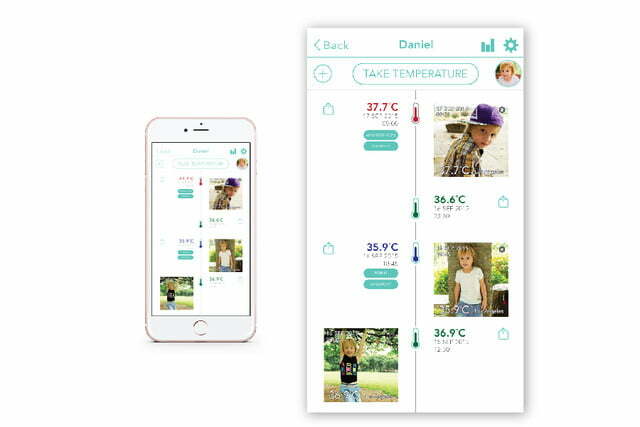 Flo’s timeline will allow you to track temperatures for different people. Trying to conceive? 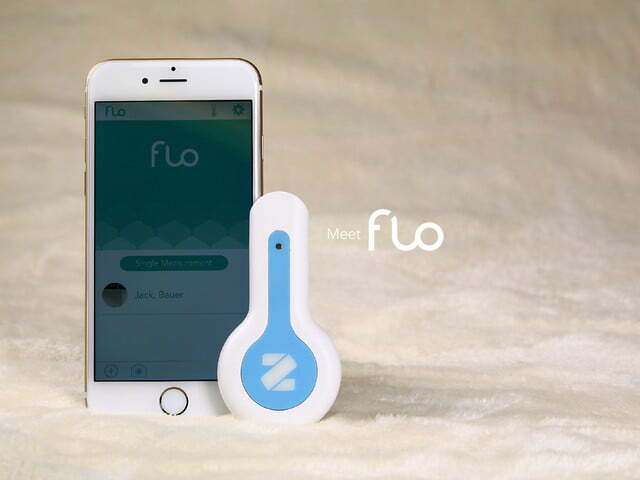 A woman’s temperature is usually higher during ovulation, so Flo can help with that, too. Want to know if your kids are getting better while being so frazzled that you can’t remember their temperatures? Flo does it for you. Add photos, notes, and tags to readings for added clarity and detail in the timeline. Sharing is probably the most important feature that gives Flo a leg up over basic infrared thermometers. Send the info directly to the next family member taking over nursing duties — or even better, to a nurse or doctor. Flo’s good for more than just people (and pets); since Flo is infrared, you can use it to check the temperature of things like milk, or home-brew Kombucha. This works for surface temps only though — it’s not a meat thermometer. The Flo hardware itself comes in four colors and runs on CR2032 batteries, which should last about three months with daily use. On release it will work with iOS 8+ via Bluetooth. Super early birds can grab a Flo for $15 during the Kickstarter campaign. The Zeraph team has 15 years combined in the consumer product development game. They took the time to finish the hardware tooling and polish the iOS app before kicking off the campaign, so there’s better chance of on time delivery. The company expects to ship Flo in April.